Twenty civilians have been killed in Saudi-led airstrikes in Yemen, according to a government official. Children were among those killed. At least 30 were injured in the raids, which struck the city of Hodeida. The strikes hit the Suq al-Hunod district of the port city, the official in the government of President Abedrabbo Mansour Hadi told AFP. The presidential palace was also hit. Children were among the fatalities photographed at a city mortuary. Photos from the neighborhood showed residents searching through piles of rubble in search for survivors. Dr. Khaled Suhail, a physician at Al-Thawra hospital in Hodeida, said the facility received 12 dead and 30 wounded from the strikes. 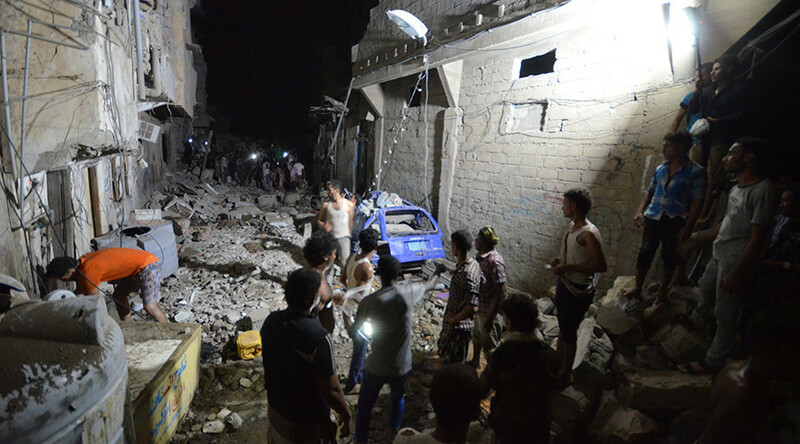 The deaths are the latest in Saudi Arabia's 18-month bombing campaign in support of the government of Sunni President Hadi. Tensions in Yemen escalated after Shiite President Saleh was deposed in 2012 and his Houthi supporters – reportedly aided by Iran – eventually seized the capital city, Sanaa, in 2014. Houthi forces then advanced from Sanaa towards the south, seizing large parts of Yemen, and sending Hadi into exile. In March 2015, the Saudi-led coalition responded with airstrikes in order to stop Houthi advances and reinstate Hadi back into power. 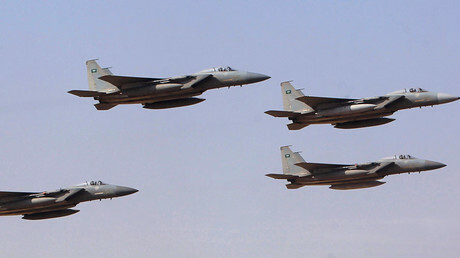 By late summer of that year, the Saudi-led forces had launched a ground operation. More than 6,600 people have so far been killed since the intervention began, most of them civilians, according to the UN. The Red Cross told RT in August that it has had to provide Yemen with more morgues due to the rising civilian death toll in the country. “In many cases you had several bodies stuffed on one shelf, in one morgue unit, so the situation was not sustainable, the hospitals asked for our support, and we decided to donate morgues, which is something that we rarely do,” Rima Kamal, a Yemen-based spokeswoman for the Red Cross said. The Thursday airstrikes come just three days after Amnesty International urged in a report for the US to halt the shipping of weapons which could be used in the Yemen war, citing new data that confirmed a US-made explosive was used in a hospital attack in August. 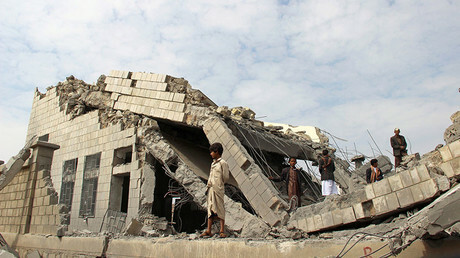 “It is outrageous that states have continued to supply the Saudi Arabia-led coalition with weapons, including guided and general purpose aerial bombs and combat aircraft, despite stark evidence that those arms are being used to attack hospitals and other civilian objects and in other serious violations of international humanitarian law,” Philip Luther, research and advocacy director for the Middle East and North Africa at Amnesty International, said in a press release. The latest report follows another release by Amnesty which said that Saudi Arabia is using US-delivered white phosphorus for its attacks on Yemen. Meanwhile, the US Senate has given the go-ahead for a $1.15 billion sale of tanks and other military equipment to Saudi Arabia by blocking a bill opposing the controversial transaction.